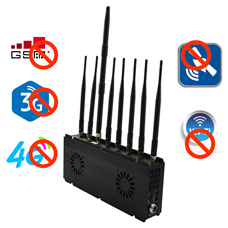 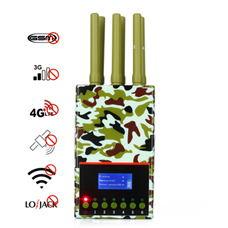 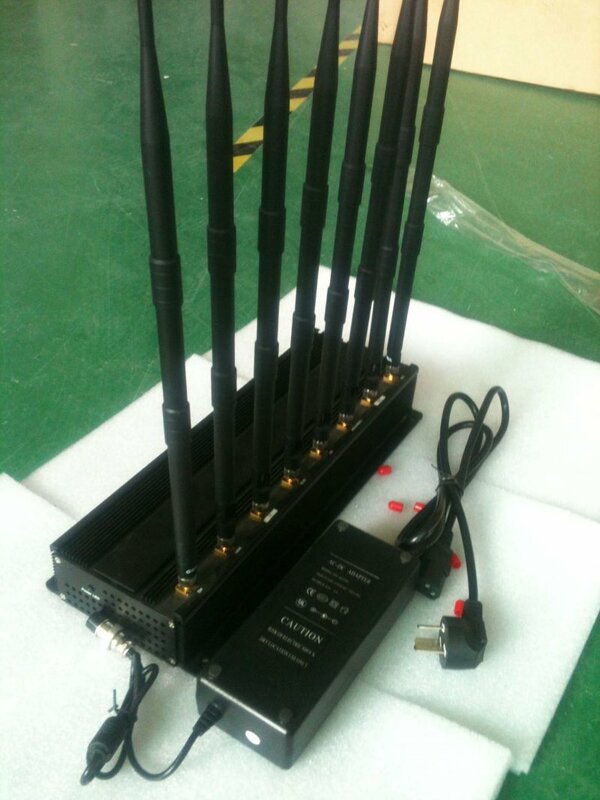 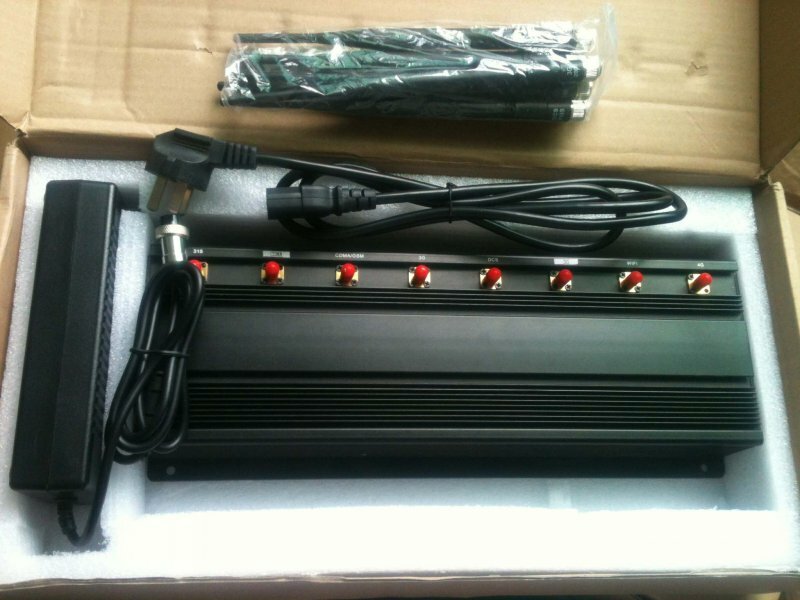 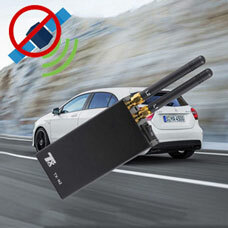 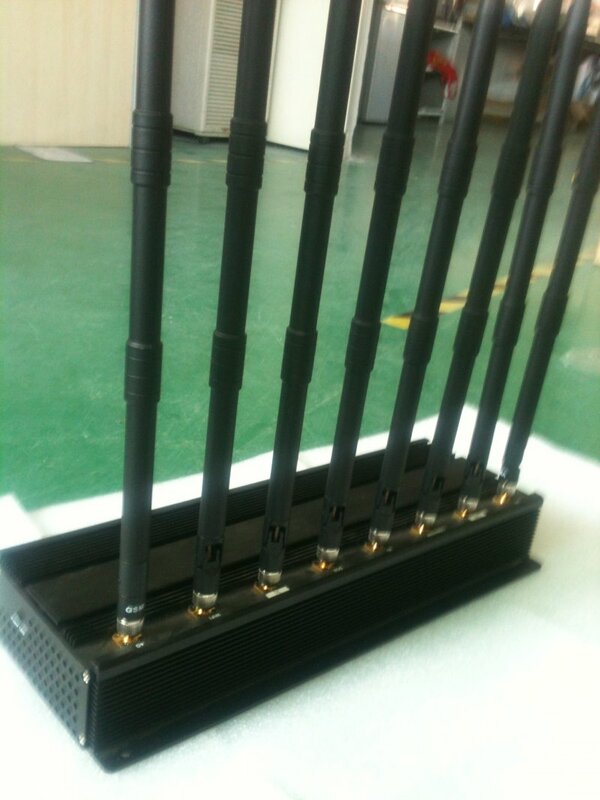 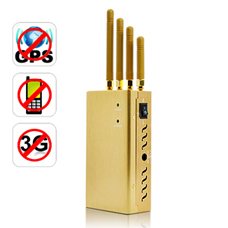 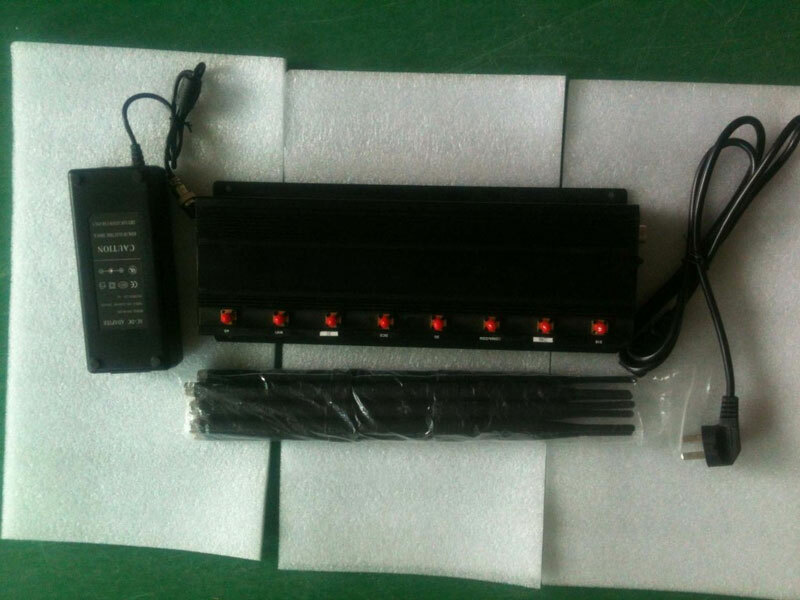 The high power newest desktop signal jammer adopts advanced technology, jamming frequencies include GSM / CDMA / DCS / PHS / WIFI / Bluetooth / VHF / UHF. 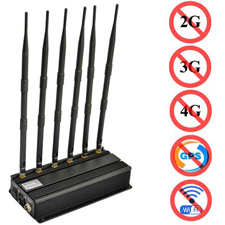 Maximum interference radius is 40 meters. 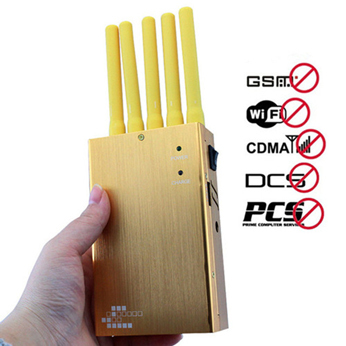 It does not interfere with other electronic equipment, so as to guarantee the security of the required places, mobile phone left partition scope, can return to normal use, and without any damage to the human body. 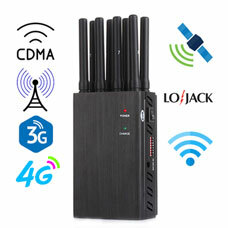 Please be attention that the frequencies you can jam at the same time depend on what you choose with 8 bands in the configurations.